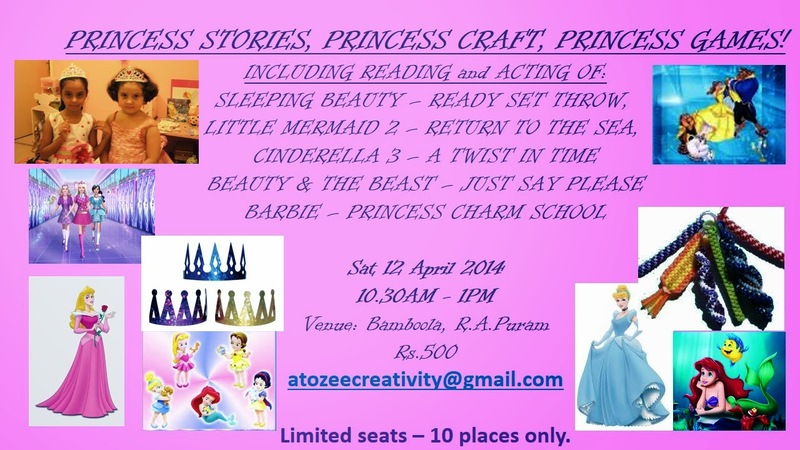 A to Zee Creativity: SATURDAY MORNING CAMP! Location: Bamboola (same compound as Sankara Nethralaya) 73 Venkatakrishna Rd, R.A.Puram, Chennai - 28. Approximately 12 sessions and an informal end of term show. All batches work towards the October Trinity College London exams. We take very limited numbers, so once you have paid for a term there will be no refunds or postponements to future terms. Get those creative juices flowing, express yourself with confidence, learn to enjoy the stage! We raise for a different cause or charity at each show.